The halls of Denison University’s Mitchell Athletics Center are filled with images of generations of standout student-athletes — All-Americans and Hall of Fame honorees who turned grit, talent and a lot of hard work into the highest levels of achievement. And behind each of those athletes was a coach committed to excellence, accomplishment and performance — both on and off the field. The late Keith Piper, football coach and mentor at Denison for 42 years, remains a shining example of those coaches. 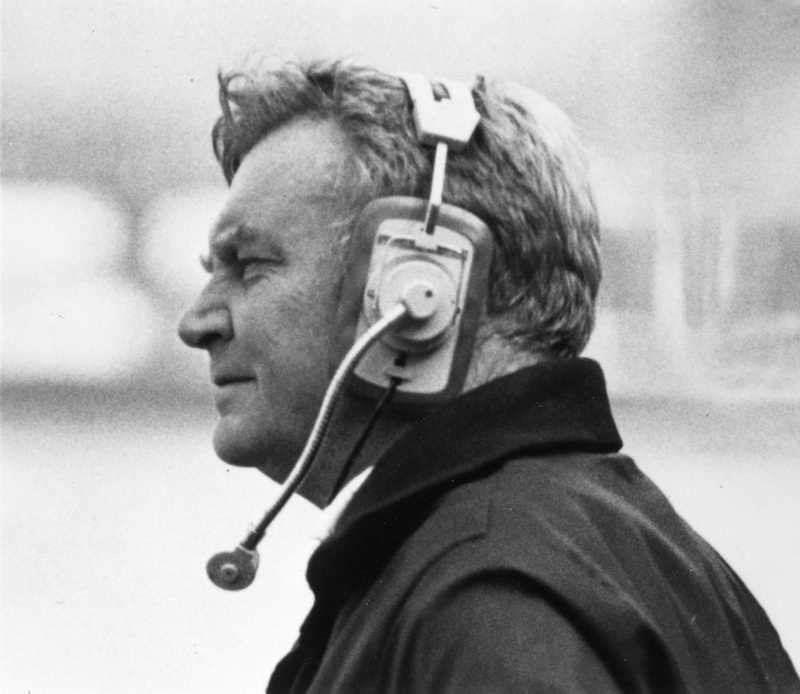 When Piper retired as head coach in 1992 with 200 career victories, he was the second-winningest college football coach in the state of Ohio. His career, which was celebrated for the successful revival of the single wing offense, included back-to-back North Coast Athletic Conference championship titles and multiple Coach of the Year accolades. A generous donation of $2.5 million in memory of Coach Piper will endow the head football coaching position at Denison. As a student at Denison, the anonymous donor played football under Piper. The donor is making the contribution to honor his coach and to inspire others to recall their own experiences as athletes, and the unique mentoring relationship between a player and coach that begins as a student and endures beyond college. In his time at Denison, Piper was coach to players who went on to become U.S. congressmen, college presidents and deans, medical doctors and research scientists, clergy, CEOs and board chairs in the fields of banking, insurance, and law. A number of his players became football coaches at the highest levels of the game, with several landing in the NFL and at major college programs across the country. The endowed position will be occupied by Jack Hatem, current head football coach at Denison. The Big Red football team broke a number of individual and team records in 2018, won the North Coast Athletic Conference Championship and earned a berth in the NCAA national championship tournament. Denison’s athletics programs build excellence through competition, and that starts well before the players step into the arena. In the football program, for example, Coach Hatem’s approach begins in the first year. The program has developed a system that grows with the athlete over time. Hatem’s philosophy mirrors the ideals of President Weinberg. “In the beginning, we’re pretty hands-on,” says Hatem. “As soon as a new player arrives, a senior member of the team brings him on board. The seniors meet and decide together how they want to address issues that may come up while living and learning on a residential campus. Then they meet with the team to spell out expectations for the year.” The grassroots leadership is very effective. This focus on coach and peer mentorship continues when it comes to academics and campus life. Mentorship permeates the program. Coaches mentor assistant coaches, assistant coaches share those lessons with their players, and players learn from their peers. Every player is valued for his contribution. The program hosts study tables around subjects, and young players are assigned a football mentor who helps track their academic progress. As players advance through the program, they absorb leadership skills and, in turn, become advisors for new team members. The leadership initiated through athletics then emerges elsewhere on campus. “Our guys are involved in student government, admission, the arts and lots of different service clubs and organizations on campus,” says Hatem. Canaan Gebele, a senior quarterback and data analytics major, broke a number of individual passing and scoring records this year, but another of Hatem’s most valuable players is senior offensive lineman Ben Harder, an environmental studies and political science major who never started a game in his four-year career. “Ben brought character, leadership and a great work ethic to the practice field every day. He worked as hard as he could to help make the team successful, knowing that he might not be playing on Saturday,” says Hatem. Denison's Unlocking Potential Campaign enables the college to continue to build upon its strengths with investment in scholarships, academic innovation, career exploration, the performing arts, athletics, student life, and the Annual Fund.